With several imprinting methods and styling options to choose from, this glass is sure to be the hit of your next promotional or marketing campaign. This 15 oz. stemmed hurricane / squall glass has ample imprinting space where the sky is the limit for you to customize it and make it truly one of a kind. 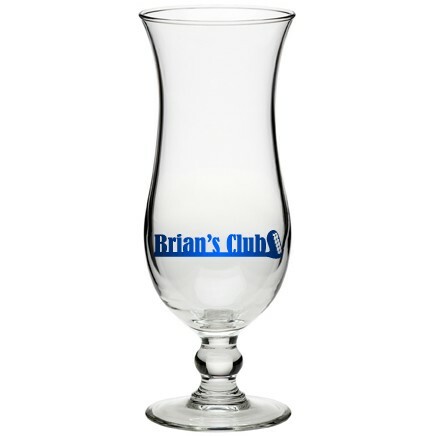 This hurricane glass is the perfect way to remember a family reunion, wedding or corporate event.